The AMU Campus: Center of learning and higher education most of the time remains peaceful, silent, and engulfed in an academic atmosphere, was suddenly wake up from its kumbh karan sleep. 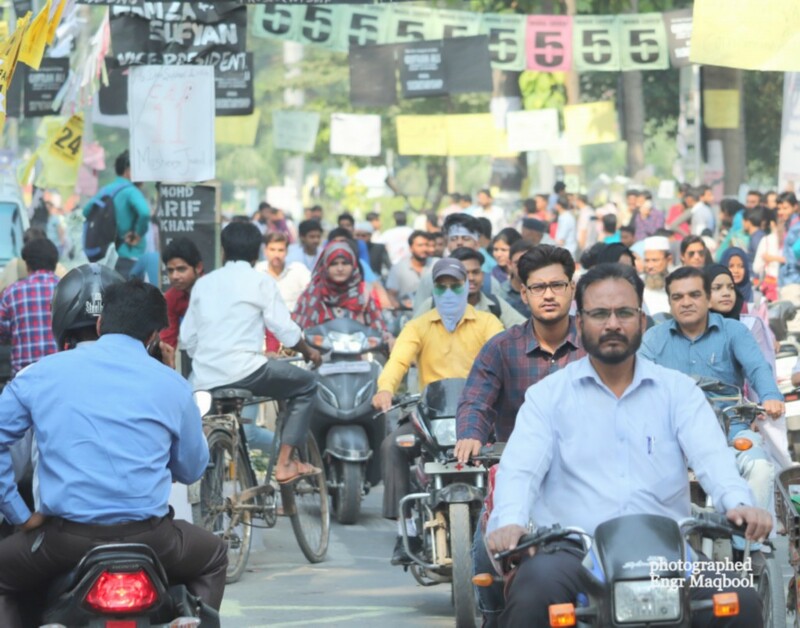 Black and white campus became colorful and noisy. 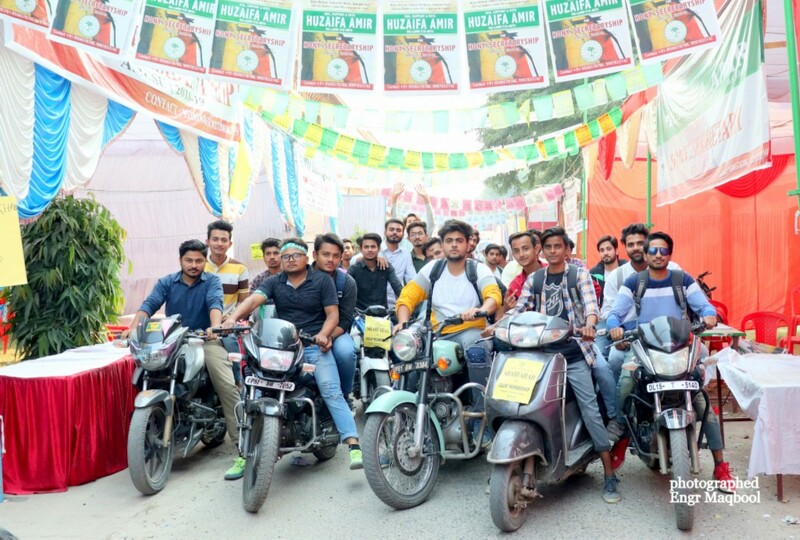 The campus was flooded with Colorful banners, posters and flags of contesting candidates.Candidate supporters were running motor bikes in full speed with ear bursting horn sounds.Social sites as Face book,U-Tube and tweeters were spammed by messages and video clips in support of candidates. The reason was notification of Chief Election Officer for Aligarh Muslim University Students' Union (AMUSU) elections 2018. 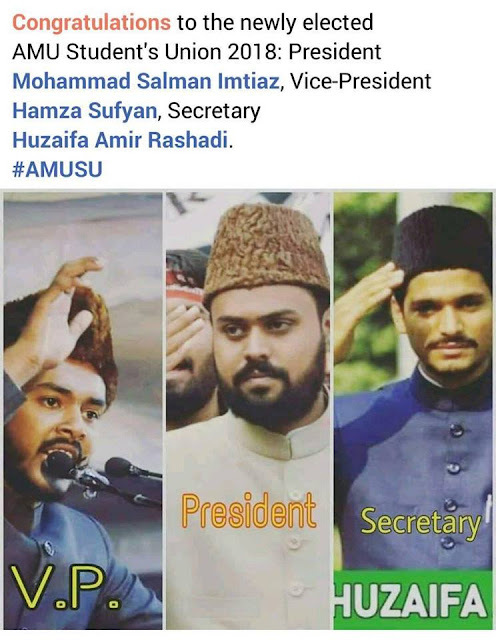 Prof Zaheer-ud-din announced that polling for AMUSU Office bearers and representatives of University Court will be held on November 3, 2018 from 9:00 am to 5:00 pm in respective faculties. AMU. 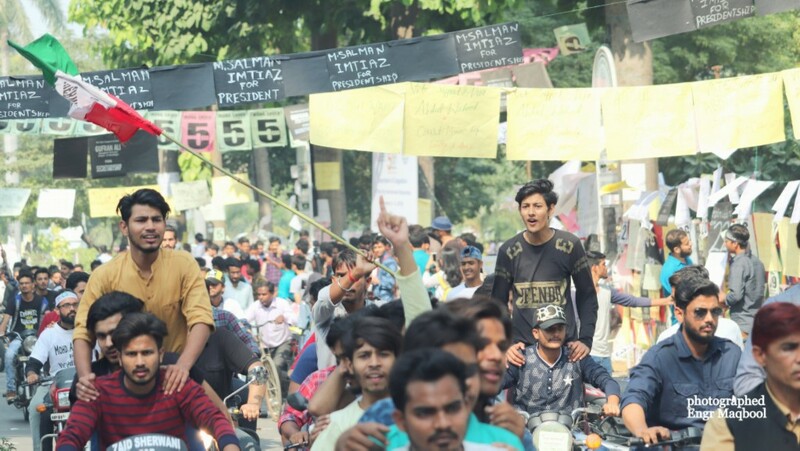 Aligarh Students Union acts as a mediator between the administration and the students fraternity, because they have the power to work for the welfare of the students.Union is primarily responsible for building and preserving a healthy political culture and an atmosphere of open debates on the campus. The main attraction of AMU. 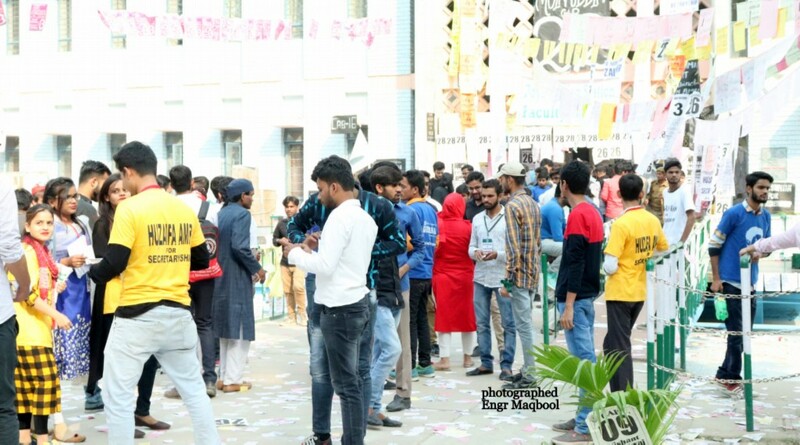 Students Election 2018 was the final speech by chair candidates, from Union hall terrace on November 1, 2018 from 2:00 pm onward. This final speech may be said as semi declarations of winning candidate. Over 18,886 students are expected to vote in the Aligarh Muslim University Students Union Elections, where around 3,014 are women voters, but only 65 % voters turned to use their power. 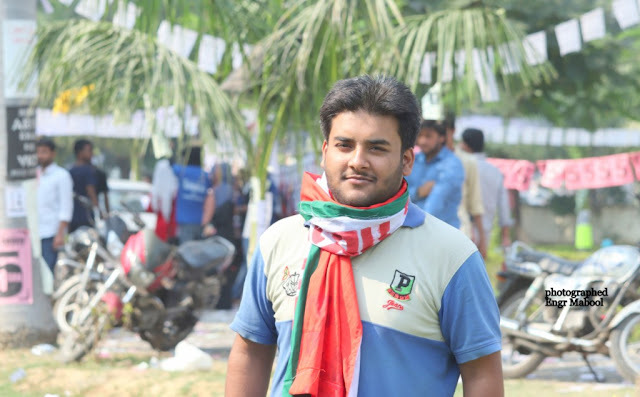 Shahzad Alam Barni (2012-13) was first Ph. 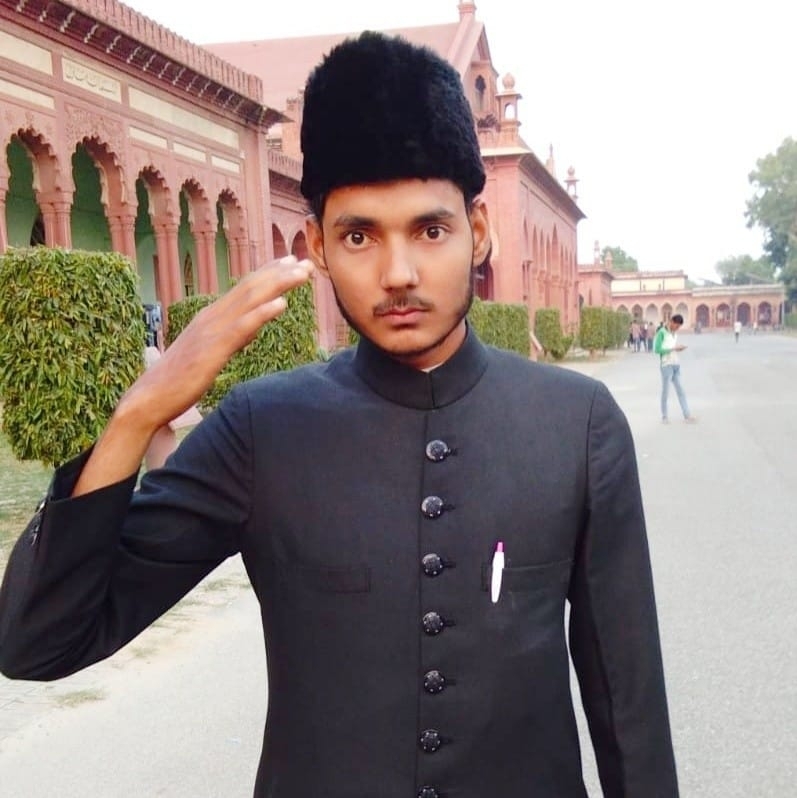 D Scholar who became the president of AMU Students’ Union. There were 28 candidates for 10 Cabinet Member. There were 32 candidates for 11 Court Members. 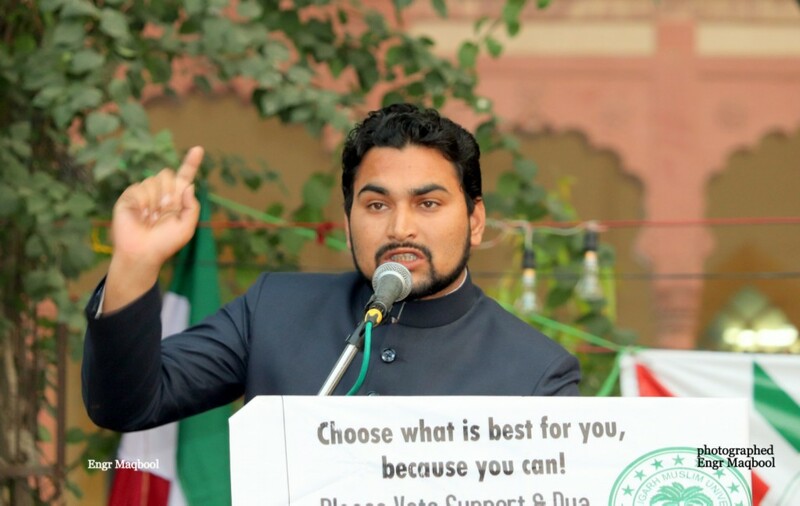 Sir Sayed, in 1884, established a debating club, on the pattern of Cambridge University. Known as the “College Union Club”, then became famous as “Sidon’s Union Club”, as its first President was Henry George Sidon’s. 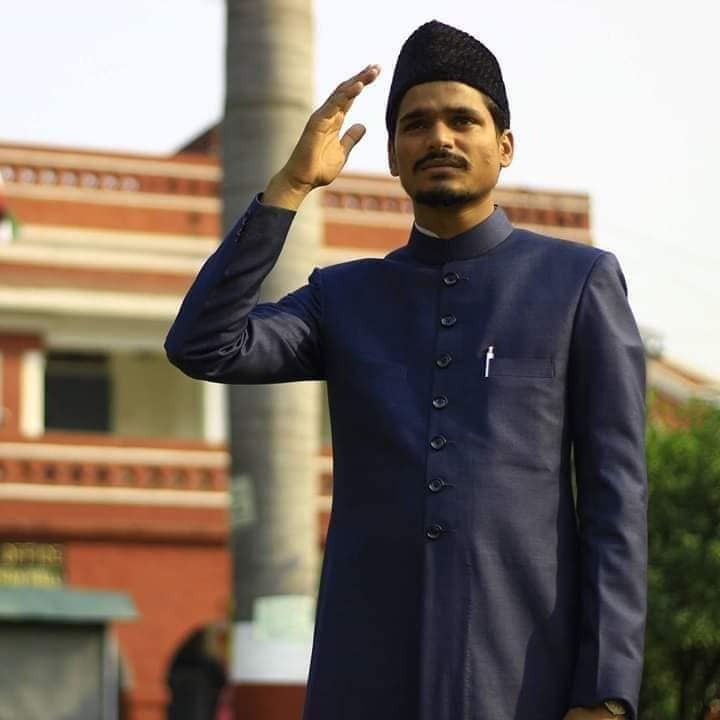 First Vice President of Sidon Club in1918 was Dr Zakir Husain, who later became Vice chancellor of AMU .Aligarh and then President of India.First president of AMU.Students Union in 1920-21 was K.M Khuda bux. The first Vice President was a student named Sajjad Husain. The first Hony. Secy. 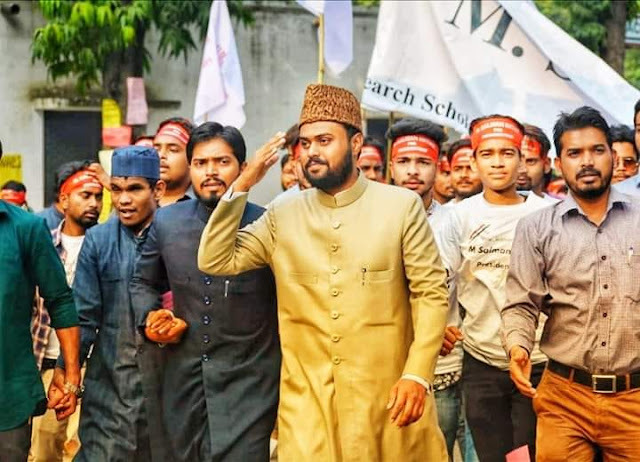 was Sayed Md Ali with 10 cabinet members of the Union. The main objectives of the Union Club were to produce good orators and wise leaders. 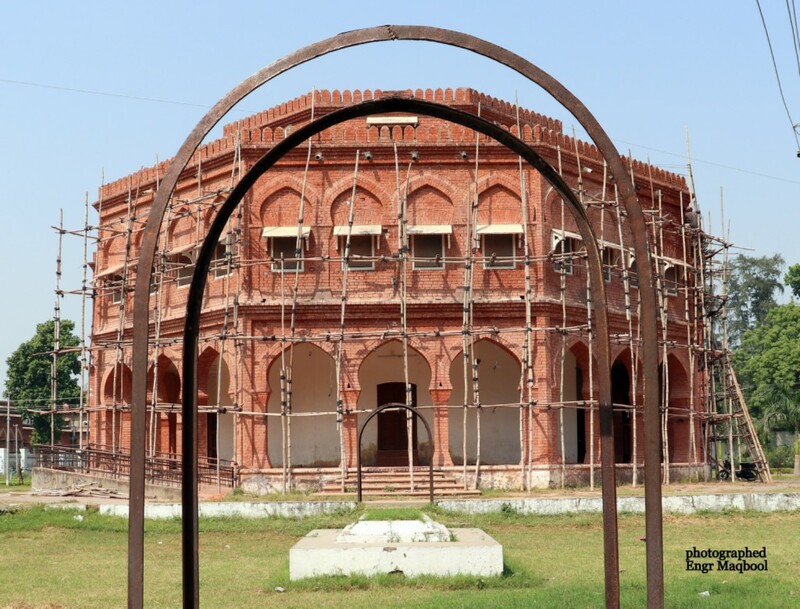 From 1902 on wards, it also started having an honorary librarian; Nawab Ali was the first librarian. On 22 February 1905, Morison laid the foundation of “Sidon’s Union Debating Hall”. In 1920, when it got the status of university with massive political mobilization (1898-1920), it came to be known as “Muslim University Union”, and its first Vice President was Sayed Nurullah, (who later on became the Pro Vice Chancellor of AMU, has co-authored a book on history of education). The President used to be the Vice Chancellor. In 1952-53, it came to have a new constitution for itself and was probably the only Students’ Union in the world to have got a formal registration. Then it came to be known as “Muslim University Students’ Union”. And the Vice Chancellor became “Patron”, rather than the President of the Union. In 1953-54, for the first time, a girl was elected as a cabinet member of the Union. 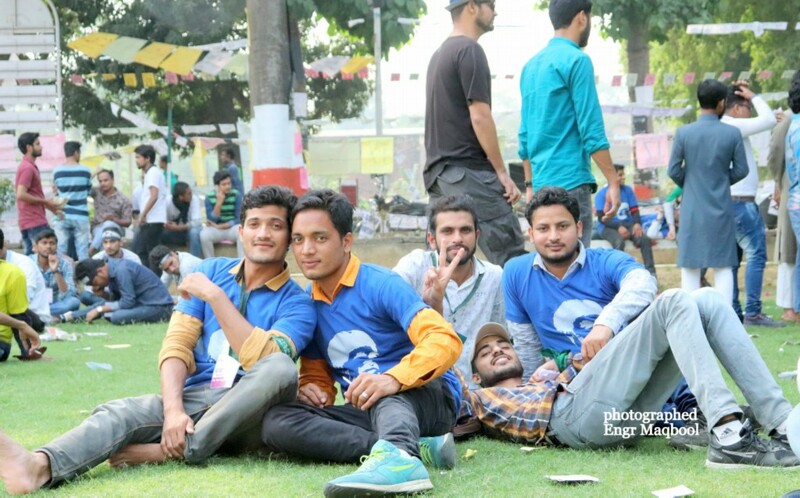 She was Ms Zahra Naqvi, M.Sc. 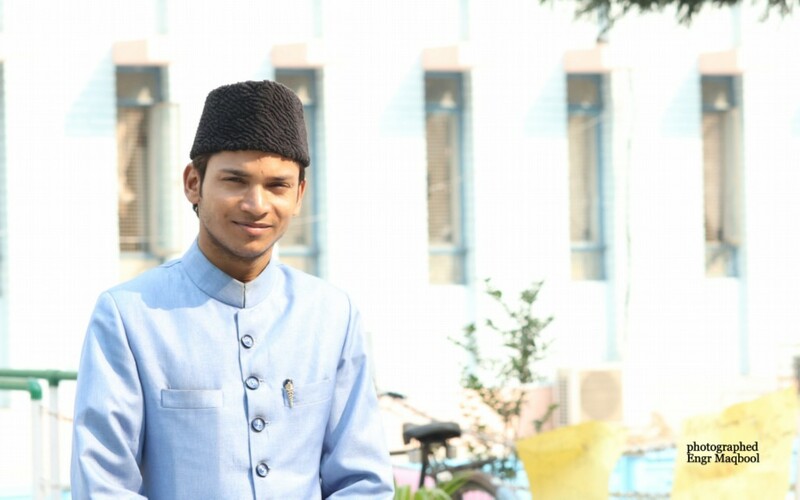 Physics, final year. Then, even the western countries did not have women franchise.Mahatma Gandhi was the first life member of the union and was conferred upon him on 1920. After a peaceful polling Results of winning candidates were declared early in the morning of 4th November 2018 at 4.00. 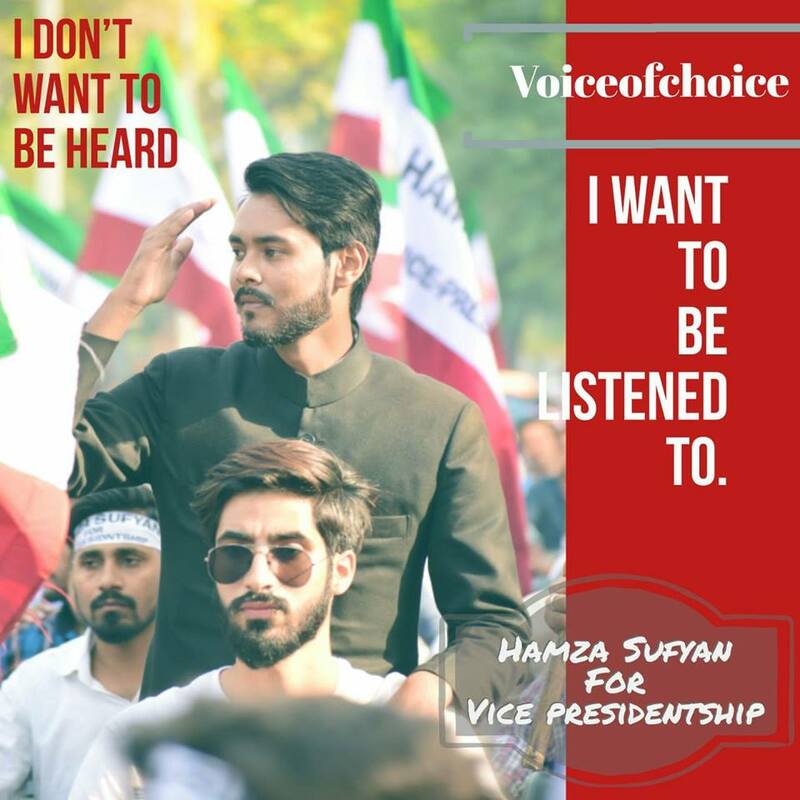 Vice President—Mr.Hamza Sufyan was elected for the post of vice president, Hamza is a student of Social Science department.He got 5,577 Votes. 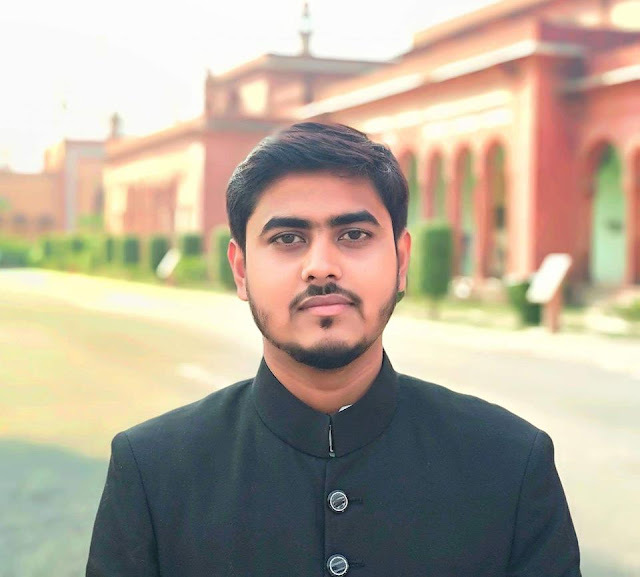 Secretary—Mr.Huzaifa Aamir grabbed Secretary Post. 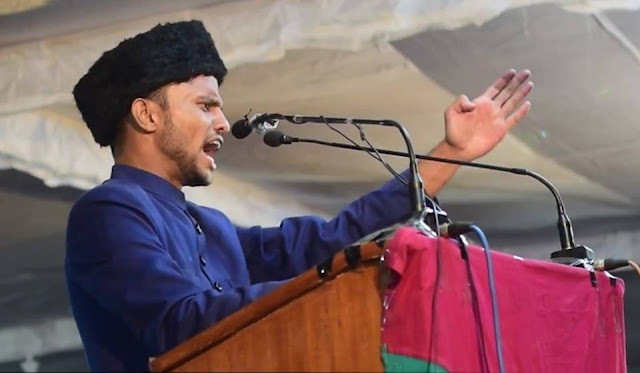 Huzaifa is pursuing MA in Language and Media Management.He got 5,731 Votes. 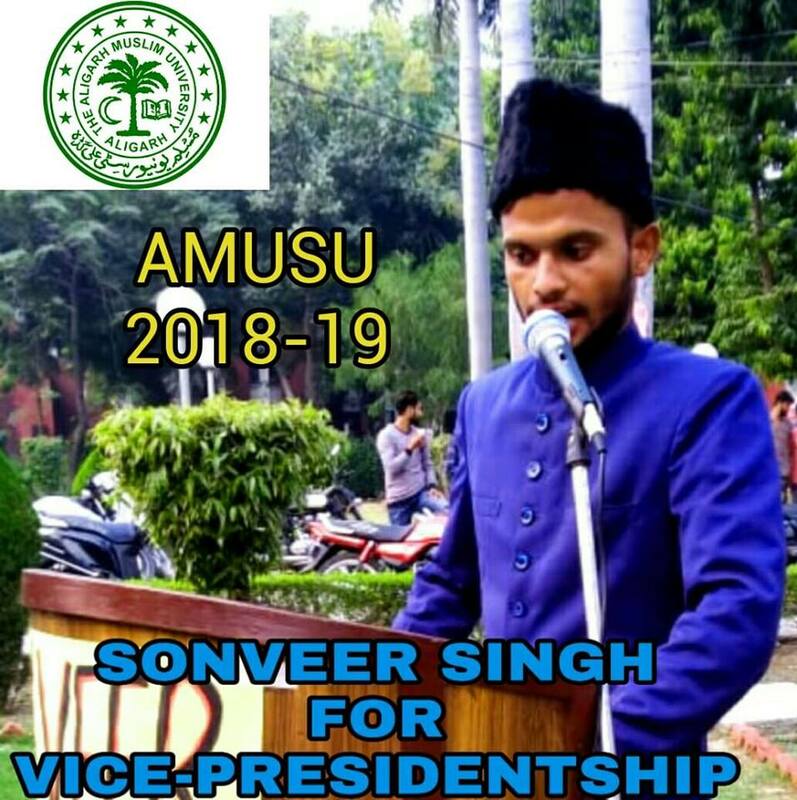 Ending this blog with the message of Mr Sonveer Singh an M.Tech student,a candidate for Vice Presidential post of A.M.U Aligarh Students.He posted this message on his Face Book. 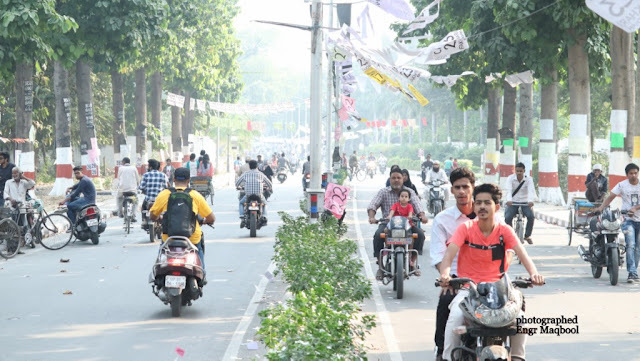 सर सयैद के चमन के बुलबुलों को मेरा प्यार भरा नमस्कार!! 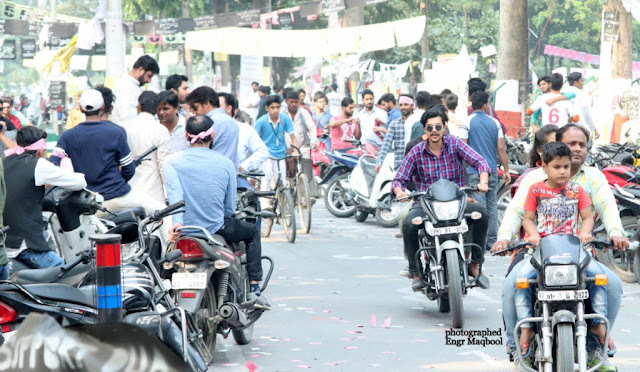 अस्सलाम वालेकुम ! !